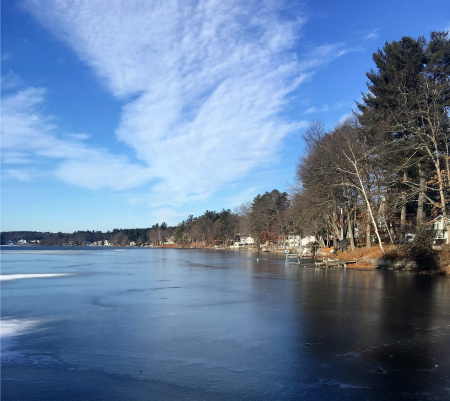 Today’s Run Fast Eat Slow blog post is another guest one from my mom. Enjoy! Nora and I have been making so many of these recipes we can’t keep up with the posts !! 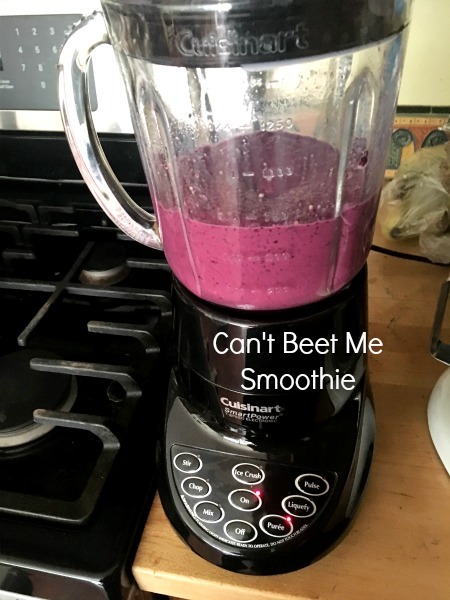 This week, I decided to try the Can’t Beet Me Smoothie (pg. 28). Even though I love beets, I have to say I was not sure what I would think of this recipe . But I decided I would give it a shot. I would love to add “after a great 5 mile run…” but sadly I’m still just walking with a few short jogging bursts here and there. At least, I’m still getting to take in some beautiful views. 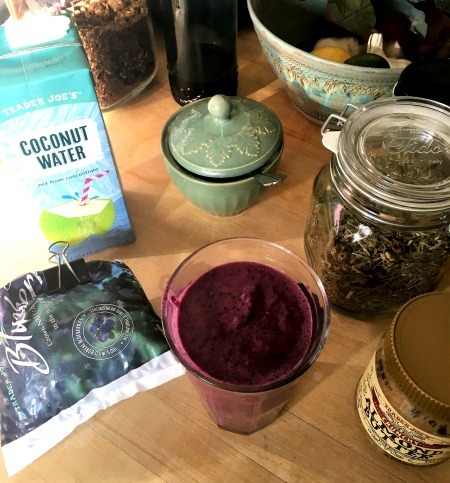 I gathered the ingredients and put it all together in my blender. Nora had stressed the importance of using frozen bananas so I made sure I had peeled and sliced a banana into a zip lock bag and tossed it into the freezer the night before (Frozen bananas is HUGE for texture in smoothies – it’s almost like adding a scoop of ice cream – they add that much creaminess!). I used regular 1% milk because I don’t usually have almond milk on hand unless Nora is home. I followed the directions and whipped everything up in my blender… and voila! A really wonderful, tasty, creamy smoothie! It was surprisingly sweet, probably from the beet and the banana and, though it was a beautiful purple color, did not really taste of beet at all. And the texture was so smooth and creamy. Much better than I had expected! Nora, the smoothie expert says this is the frozen banana (It is!!). The only thing I would do differently next time would be to cut the ginger up a bit more: my blender did not quite chop it up fine enough. I’m not usually a big “smoothie person” but this one has made a convert out of me and I know Nora will love it when we make it together! This entry was posted in Recipe and tagged 2 Generations Running, Can't Beet Me Smoothie, Run Fast, Run Fast Eat Slow. Bookmark the permalink. I love beets and only wish they didn’t stain everything in sight when you’re peeling and cutting them! Beet hummus is also really good.